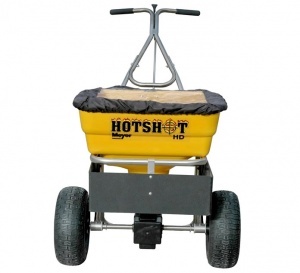 Suitable for use with a variety of materials, including rock salt, ice melt, fertiliser, limestone and top-dress sand, this is a versatile broadcast spreader ideal for use all-year-round. 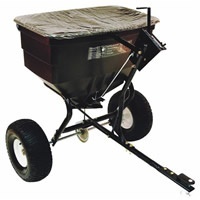 An easy to manoeuvre and heavy-duty machine, this broadcast spreader is built to survive all-season use. 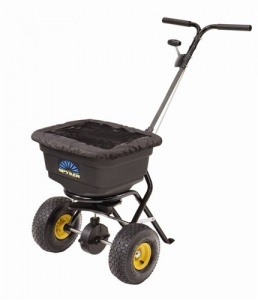 It is well-suited to use with rock sale, ice melt, fertiliser, limestone, top-dress sand and more. 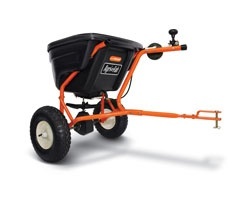 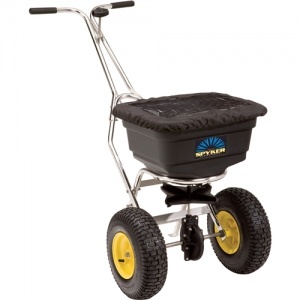 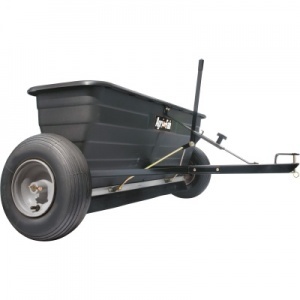 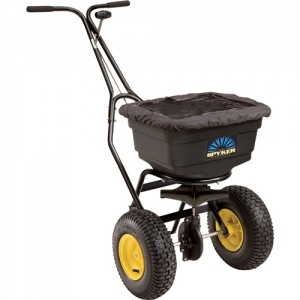 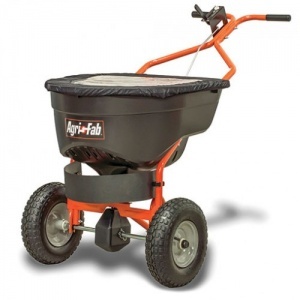 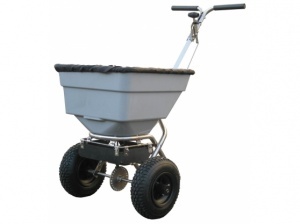 Thanks to its wide-profile pneumatic tyres and comfortable handlebar, this salt-spreader is easy to use despite being Handy's largest salt-spreader - perfect for both commercial and large-scale domestic use. 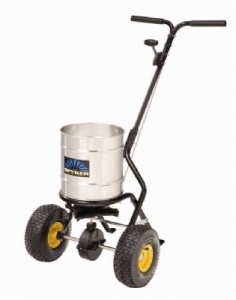 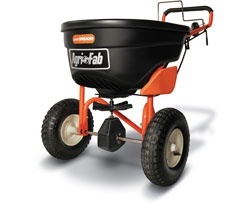 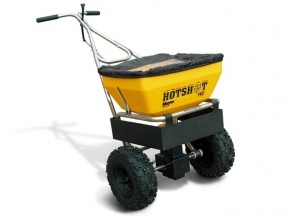 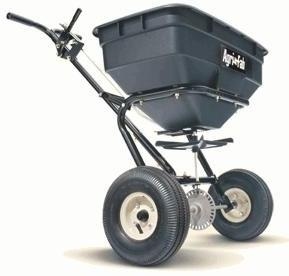 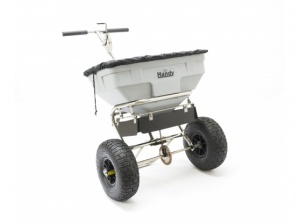 A high capacity salt spreader with a 45.3 kg hopper, this model allows you to easily keep your driveways and paths free of ice during the winter. 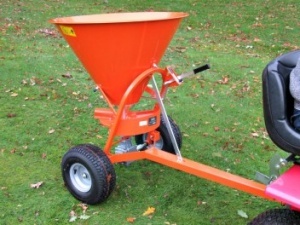 With a maximum spread-width of 3.66 metres.